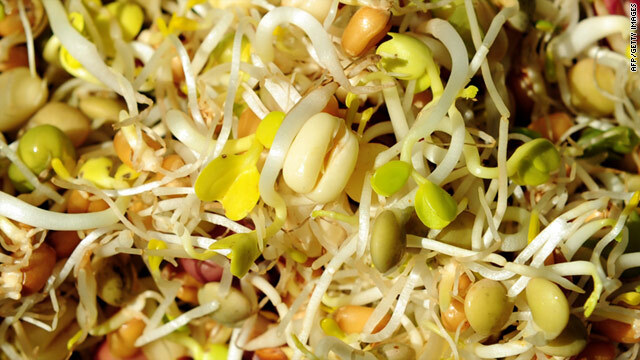 Sprouted seeds – probably the most nutritious food on Earth. They require no sunlight, no soil and no fertiliser to grow and take a matter of days to produce one of the most nutritious foods on the planet weight for weight. With such amazing health credentials you’d think world governments would be shouting their qualities from the rooftops – but hey, that’s politics for you. Seeds and pulses are already considered a very healthy addition to your diet but to cook them in boiling water rather than soaking and sprouting them is to loose out on the extra benefits available from mother nature. For example, a grain of wheat, increases its vitamin E content 300% after only 2 days of growth and the B2 vitamin riboflavin jumps from 13 milligrams to 54 mg in the sprout. In general, b vitamins can increase 300% to 1400% depending on the variety. Before a seed, bean or nut has been sprouted it contains enzyme inhibitors; these enzyme inhibitors prevent the seed bean or nut from growing. The unsprouted seeds, beans and nuts when eaten are hard to digest as the enzyme inhibitors hinder our own bodies enzymes from digesting the nut / seed / bean. Sprouting de-activates the enzyme inhibitors present in the seed nut or bean and makes it easier for our body to digest the seed nut or bean. Because sprouting makes it easier for our bodies to digest the food we are able to gain more nutritional value from the sprouted food when compared to the same food in unsprouted form. While the taste and flavour may take a little getting used to for the average western diet consumer the health benefits of sprouted seeds are leaps and bounds ahead of just about any other food. Why buy expensive vitamin and mineral supliments when a handful or two of sprouts added to your salad not only give a far more natural alternative to pills and tablets but also offer the additional benefits of a multitude of live enzymes, a necessity to food assimilation that the body struggles to produce as it ages. Sprouts contain both vitamins, minerals, proteins and fiber, as an example Alfafa sprouts contain iron, magnesium, all 8 of the essential amino-acids, chlorophyll, vitamin A, vitamin B2, vitamin C, vitamin D, fibre and more…. In this day and age of processed and convenience foods it is of great comfort that sprouts do not contain any artificially added chemicals, additives, preservatives, E numbers etc. Sprouts are eaten in their natural form, when a sprout is at its optimal growth point it simply needs to be rinsed in water to make it ready for eating. This means that sprouts are a valuable toxin free food source that even uses its own stored energy to complete the process. The most common types of sprouts include: Mung, Aduki, Alfalfa, Radish, Sunflower, Beetroot, Broccoli, Cabbage, Carrot, Leek.